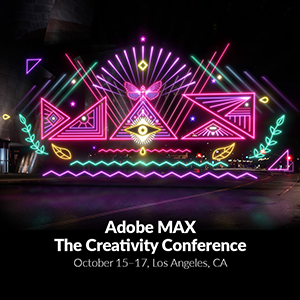 As Adobe MAX draws near, the excitement is mounting. Over 12,000 of the top graphic and interactive designers, creative and art directors, interactive directors, photographers, and videographers will come together to learn about the latest technologies that can enable their creativity. No where will this be as prevalent than on the NVIDIA booth (717), where NVIDIA will show how NVIDIA and Adobe have collaborated closely to optimize leading-edge Adobe CC solutions for powerful NVIDIA Quadro RTX GPU-powered systems to provide a better experience for creators everywhere. The NVIDIA Quadro RTX™ family based on Turing architecture., brings the most significant advancement in computer graphics in over a decade to professional workflows. Designers and artists can now wield the power of hardware-accelerated ray tracing, deep learning, and advanced shading to dramatically boost productivity and create amazing content faster than ever before. A PNY representative will be available at the NVIDIA booth to discuss which NVIDIA Quadro GPU would be right for your Adobe use case. PNY is also proud to help sponsor the event again this year by providing NVIDIA Quadro P2000 GPUs to power 245 workstations in the labs at Adobe MAX. Attendees can sign up for in-depth training sessions and creativity workshops and see for themselves how Adobe applications are accelerated by the powerful and affordable Quadro P2000.